During the 2017 U.S. Army Maneuver Warfare Conference, the commanding general (CG) of the Maneuver Center of Excellence (MCOE) asked who among the audience had any boxing experience. An officer raised his hand, and the CG asked him to share one of the most important factors that a boxer must consider when studying an opponent. The officer replied “reach.” The CG concurred, affirming that the boxer with greater reach has standoff, can strike first and has more options. This exchange underscores the Army’s intent to transform and extend its “reach” in the land warfare domain to regain tactical overmatch against near-peer adversaries. Recognizing the decades-long dominance of U.S. land forces in the conventional close fight as demonstrated in Operation Desert Storm in 1991, near-peer adversaries have embraced evolving technologies and tactics in pursuit of tactical standoff against these formations. In the more than 17 years since 9/11, the U.S. Army has been heavily focused on waging counterinsurgency and counterterrorism campaigns against low-tech but lethal forces. During this timeframe, near-peer competitors have developed capabilities with the potential to degrade the U.S. advantage in close combat by disrupting U.S. forces before they can close with and destroy them. 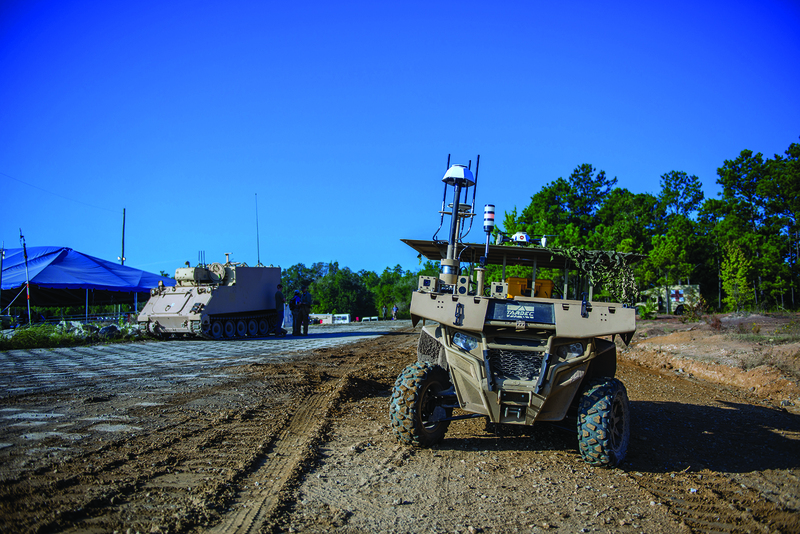 The U.S. Army is seeking to counter adversary standoff by addressing critical capability gaps and through the conduct of multi-domain operations that involve, in part, the use of robotics. The use of maneuver robotics and autonomous systems (MRAS) can increase the reach of U.S. Army forces from the battalion to the squad levels and addresses the threats of a more lethal battlefield enabled by technologies that are employed by near-peer competitors.